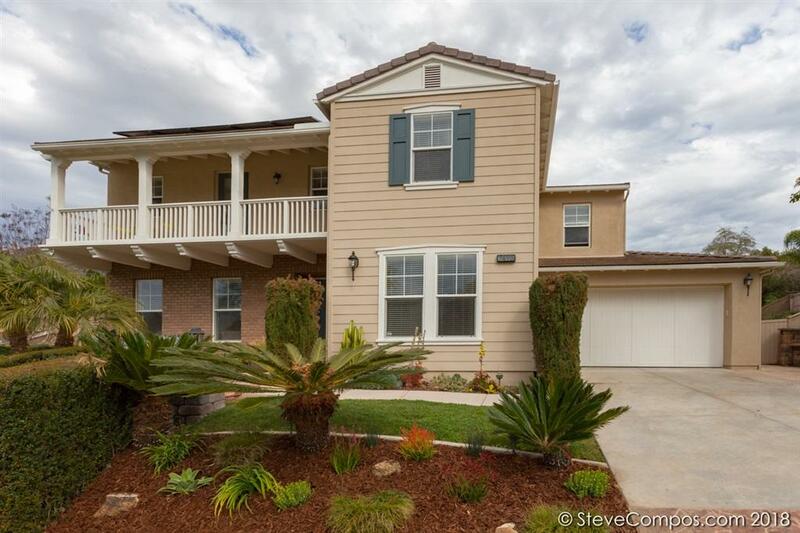 7495 Circulo Sequoia, Carlsbad, CA 92009 (#190013227) :: Ascent Real Estate, Inc.
5Br, 5.5Ba, 4337 esf w/full bd/ba down, hardwood flooring, central AC, large balconies at front & rear, Bose Surround Sound, custom window blinds & ceiling fans throughout. Granite kitchen w/SS appliances, island w/seating & granite backsplash. Loft w/built-ins, leaded glass, recessed lighting. Community w/two pools, clubhouse, gym, bike & walking trails. Backyard w/custom fireplace, BBQ island & Solar is Paid For! 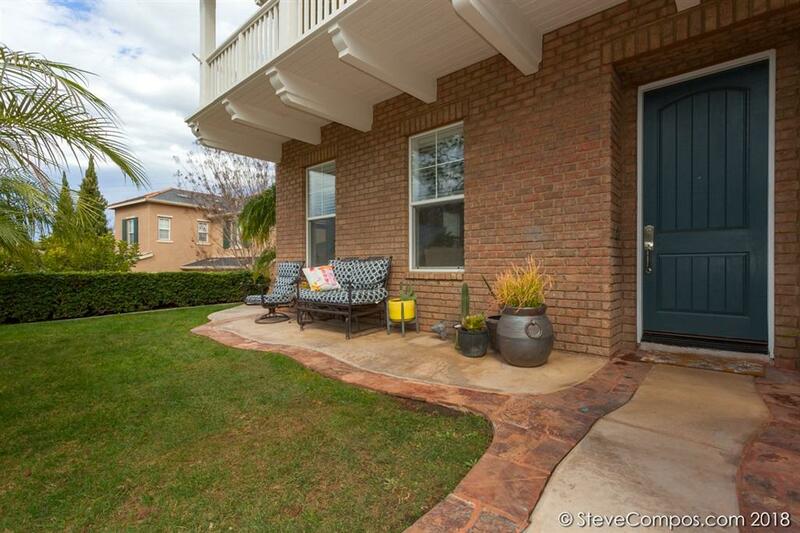 Great home in a great location for schools, shopping at Town Center, nature & beach. 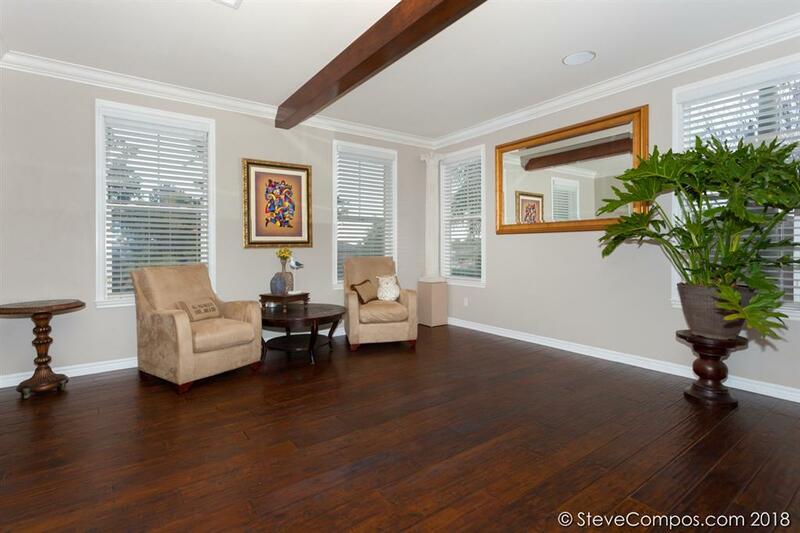 Coveted 5Br, 5.5Ba, 4337 esf residence situated in the prestigious community of La Costa Oaks in Carlsbad. 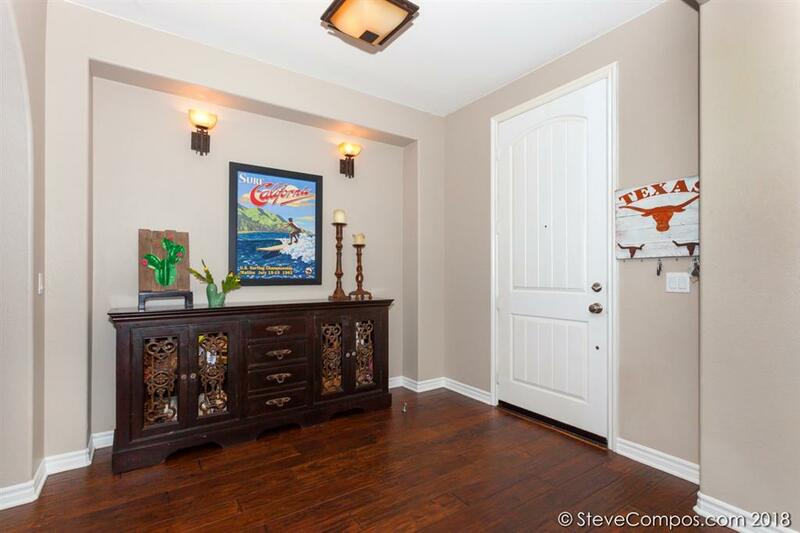 Numerous upgrades and amenities include full bed & bath downstairs great for guest or nanny, gorgeous hardwood flooring, crown molding, high ceilings, custom window blinds, central forced air conditioning and ceiling fans throughout. The granite ChefÃ¢â‚¬â„¢s kitchen features premium stainless steel appliances, giant center island with seating and granite backsplash. A cozy fireplace in the family room further enhance this fabulous property in addition to a spacious loft with built-ins, leaded glass windows & recessed lighting. The luxurious master suite features crown molding, hardwood floors, Roman Style tub, custom tiled shower and two vanities. Enjoy Bose Surround Sound system, spacious balconies at the front & rear of the home and solar is fully paid for! The backyard is complete with pavers, custom fireplace, barbeque island, plenty of grass and an additional private side yard. La Costa Oaks features two pools, clubhouse, gym, bike & walking trails along with several park-like recreation areas. Welcome home! Listing provided courtesy of Fontaine Realty Group, Inc. Listing information © 2019 San Diego MLS, Inc.